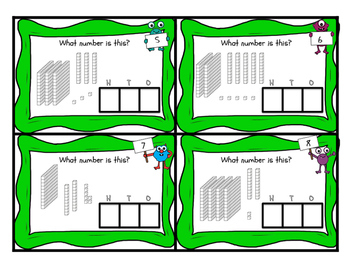 Help your students progress through identifying numbers with Base Ten Blocks! 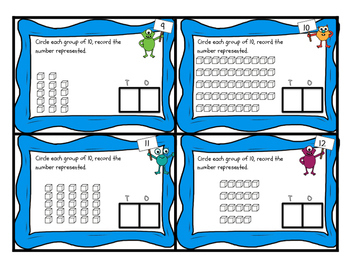 1 set of 12 cards with single blocks - circle groups of 10 and record. 1 set of 12 cards 2-digit numbers. 1 set of 12 cards 3-digit numbers. 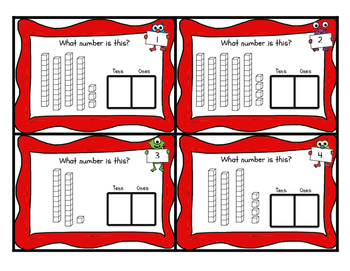 Laminate for durability and reuse with dry erase marker or as a SCOOT activity. Differentiate based on skill level with multiple sets.